While we are fortunate to have some green space in our backyard we still live in the city. So it is nice to sometimes to get away from the cars and concrete and spend some time in the woods. Robert E. Lee Park is the perfect little escape to nature without actually having to leave the city. Not far from our house, Robert E. Lee is located just off of Falls Road 1/4 of a mile north of Lake Avenue. It actually occupies a large area between Falls, Lake and Charles Streets and while the main entrance is off of Falls Road there are a few other smaller entrances to the park. I always sort of think of this park as having two separate areas. There is the main area that you can access from Falls Road, which has parking, public bathrooms and a great view of the lake and waterfall. 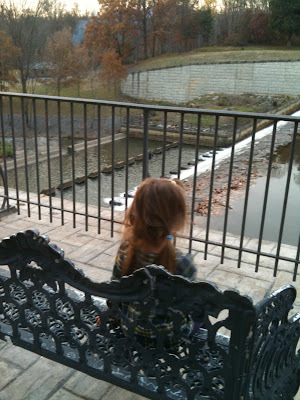 There are a few benches and a bridge that the girls like visit to check out the views. The second part of Robert E. Lee is their extensive network of trails. The trails can be accessed from the main entrance or through a small, more unofficial entrance on Falls Road just south of the Old Court/Falls intersection. We have enjoyed visiting both ends of the park, but usually on different days. The trails are often visited by people with their dogs and mountain bikers, so keep an eye out. 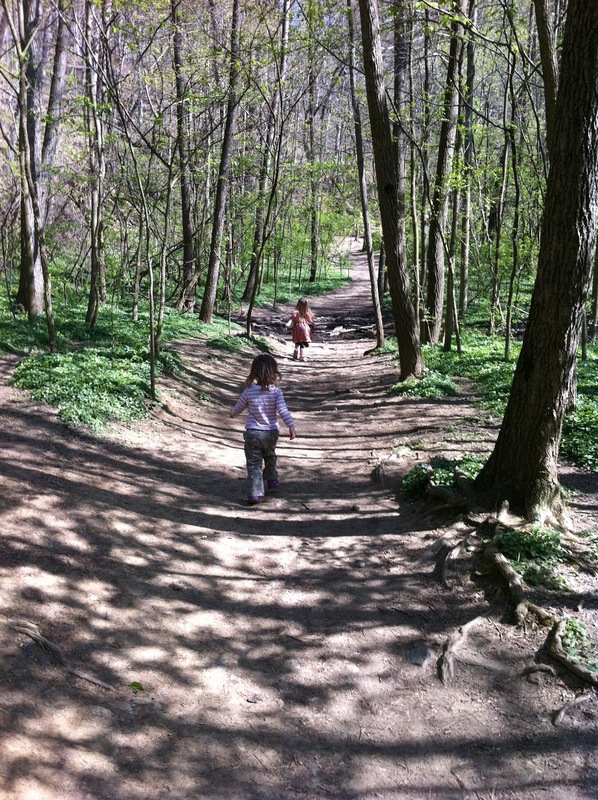 However, we have most often gone in the afternoons (after nap) for hikes and see very few people. The girls love the river, the small creeks to cross over and all the interesting trees, plants and rocks to check out. I like a little escape into nature without a huge time commitment or long commute!